Born in Kanagawa in 1975, Mr. Saito began his career in New York in 2000 after graduating from Columbia University with a Master of Science degree in Advanced Architectural Design (MSAAD). Since then, he has been active in creative work at the Arnell Group, and returned to Japan upon being selected for the Echigo-Tsumari Art Triennial event. He produces work in the commercial art field which are three-dimensional and interactive while also being based on the firm grounding in logical thought that he cultivated through architecture. Mr. Saito has won numerous international awards and he currently serves as Director of Rhizomatiks, whilst also lecturing part-time at the Department of Architecture in the Faculty of Science and Technology at Tokyo University of Science. 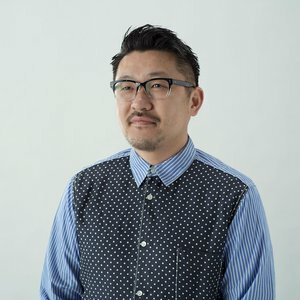 Mr Saito has judged on the D&AD 'Digital Design' Jury in 2013, the Cannes Lions 'Branded Content and Entertainment' jury in 2014, he was the director at Milan Expo theatre space in Japan, the Media Art Director at Roppongi Art Night in 2015 and judged at the Good Design awards in 2015.